Unfortunately, some of the "usual suspects" were unable to attend, but there was still a good turnout. 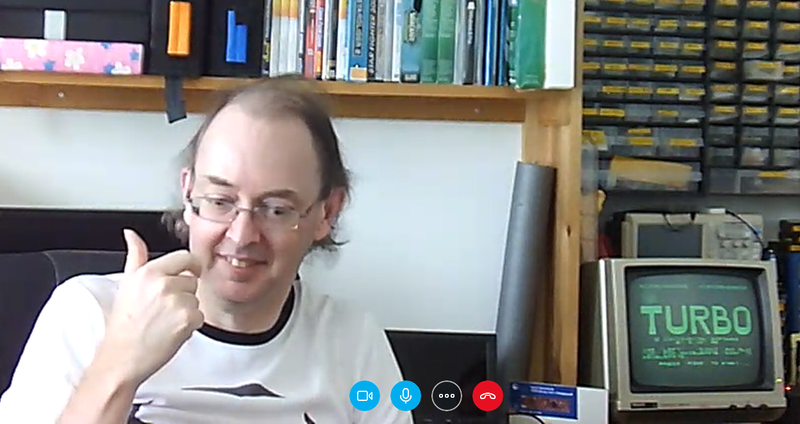 The attendees were Andy, Bill, Jim, Mark, Martin, Mike, plus myself via Skype. During any breaks in the proceedings, it appears that the attendees were too busy taking advantage of Martin's mum's hospitality to take time out for a group photo. As usual, the event featured a Memotech themed cake. 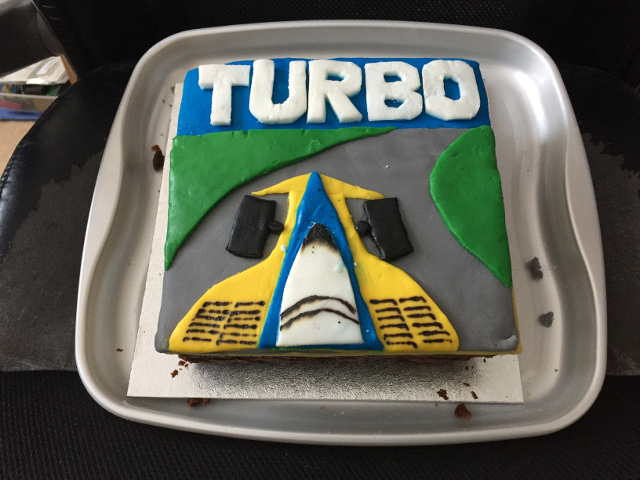 This year, the cake's "flavour" was Andy's game, "Turbo". 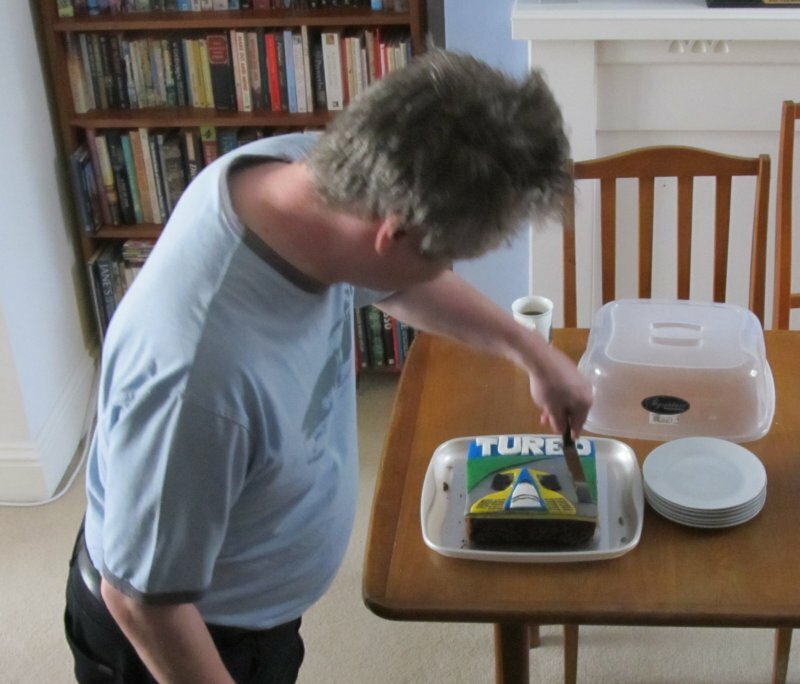 The cake was a very nice fruit cake baked by Martin's mum and iced by Martin himself. As last year Martin kindly sent me a sample after the event - and very nice it was too! 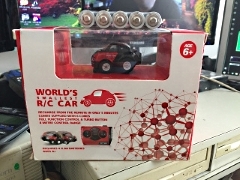 Every year, there is talk of holding a "high score" competition, one of the foremost proponents of this is Claus. In previous years, it didn't actually happen but the guys cunningly waited for a year when Claus was unable to attend to hold the competition. 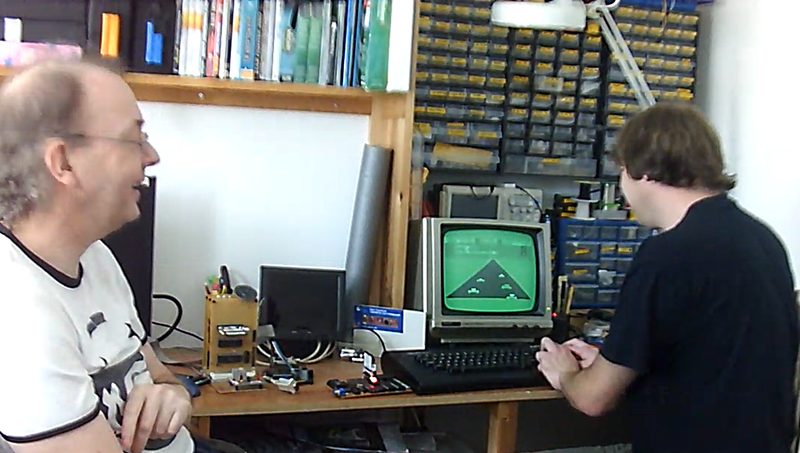 Perhaps they had been afraid that Claus's gaming skills would have made it too one-sided in previous years? 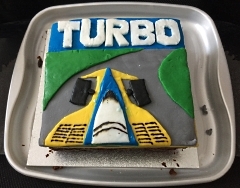 Anyway, the competition was held this year - the game chosen to match the cake, i.e., Andy's "Turbo", played in "green screen" to add to the excitement ! Andy appears to have thrown the game (scoring 0!) 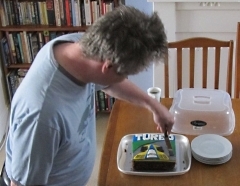 in an attempt to be first to get to the cake. His plan obviously worked ! Despite a late challenge from Mark . . . . . 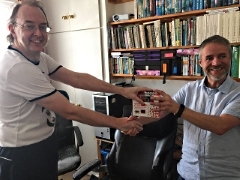 The winner was Jim with a score of 3200 . . . . . 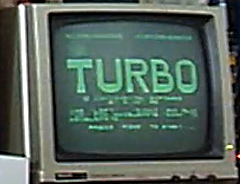 The "star of the show" was a working NFX. 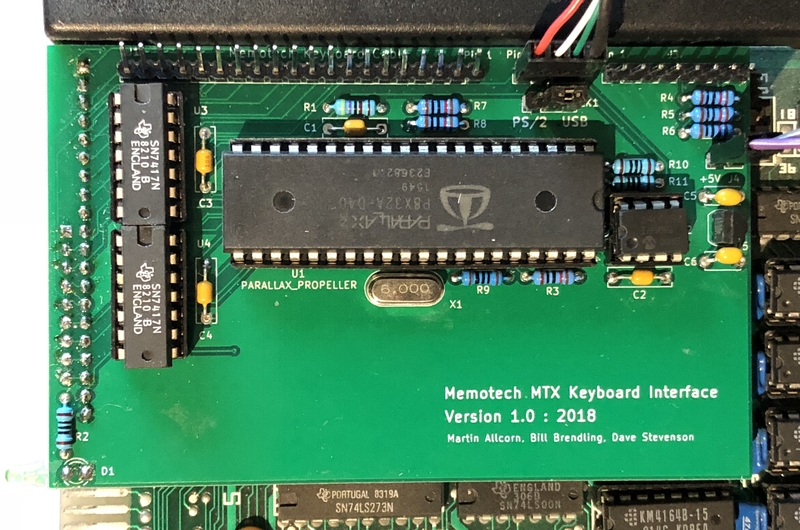 Martin and I had been discussing the possibility of adding a network connection to the MTX prior to last year's Memofest; Martin had added a Wiz811 network module to a cut-down version of our CFX project. 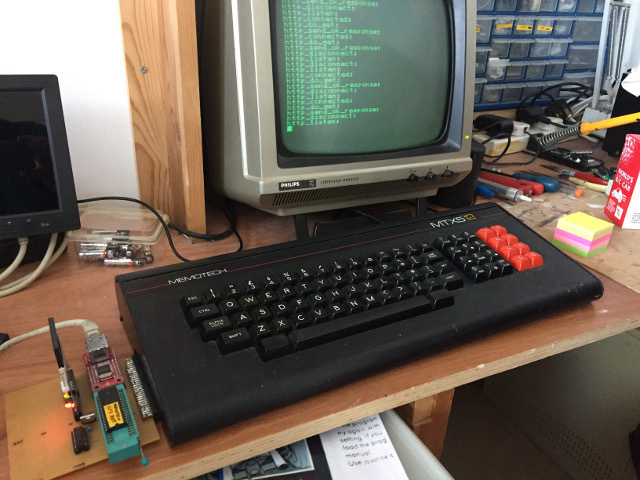 Prior to Memofest 2017, Martin had the hardware working, but the software was proving to be a challenge for Martin. 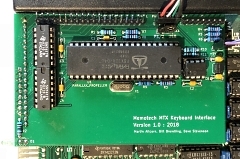 I suggested that Andy's skills in that area could be leveraged and Martin passed a prototype NFX board to Andy in the hope that he could work his magic on it. 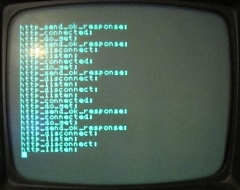 It was something of a surprise to me that Andy had indeed been able to use NFX to get an MTX computer communicating over TCP/IP, to such an extent that he had a working webserver that was demoed at Memofest 2018. 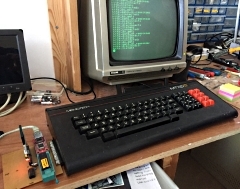 For full details of the clever coding behind Andy's webserver, see his Memofest 2018 report and his dedicated NFX page. 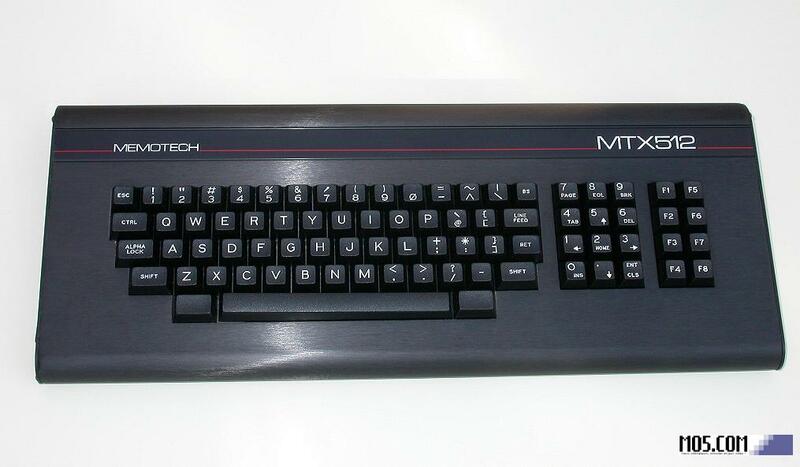 The prototype NFX board attached to a Martin's MTX (with orange coloured function keys from a BBC Micro). 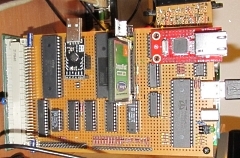 The display shows the output from Andy's NFX.COM program as it serves web pages to a network attached PC. 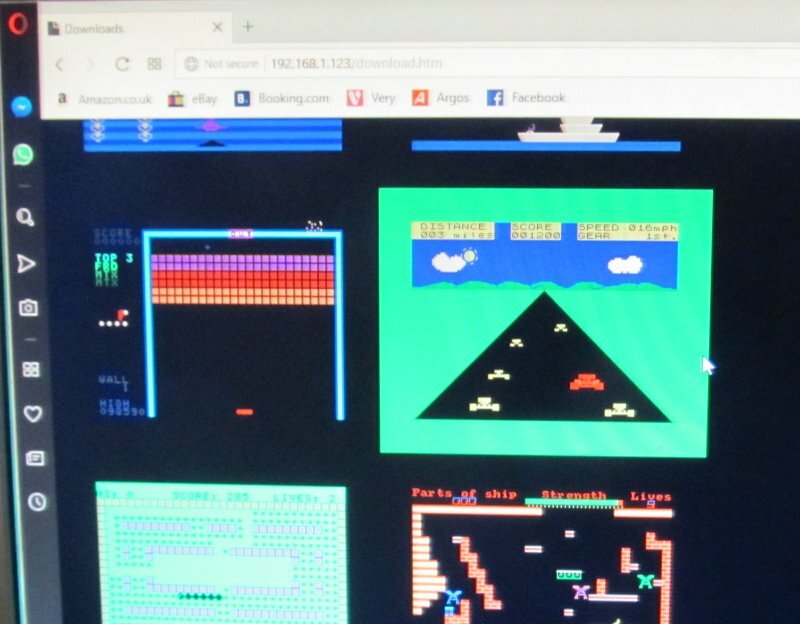 Screen shot of the PC displaying the webpage and images being served up by the MTX. 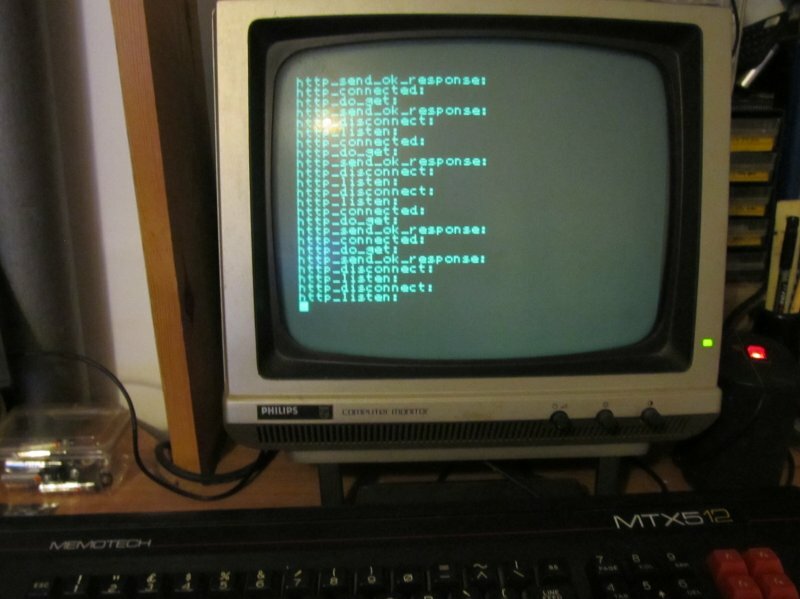 The 4MHz MTX had some speed issues when trying to serve larger image files, leading to occasional "stalling" of the web page. 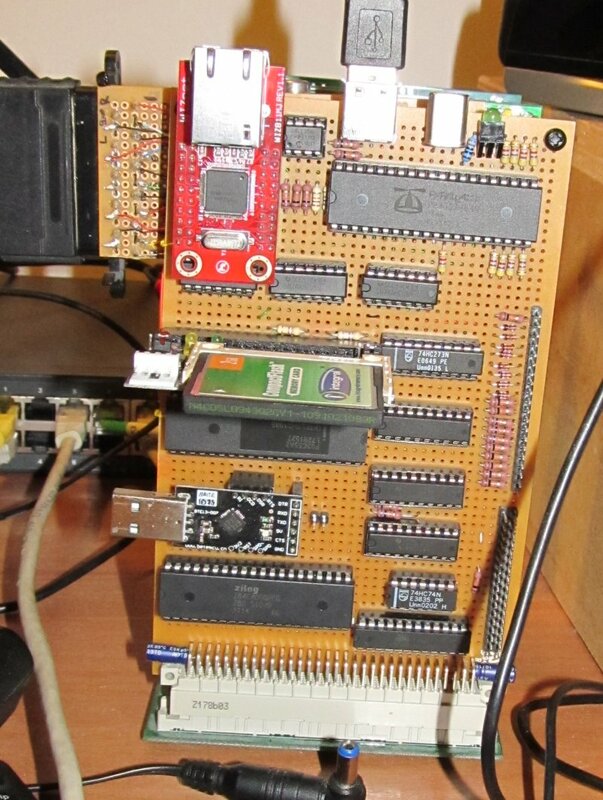 Martin had secretly been adding NFX to the MTXPlus+ I/O board and was able to run the webserver on MTXPlus+ at 16Mhz. Unsurprisingly, this made a big difference to the speed that the pages/images could be served. 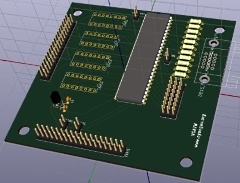 The MTXPlus+ I/O board also includes a version of the PC USB/PS/2 keyboard interface that we created for MTX. 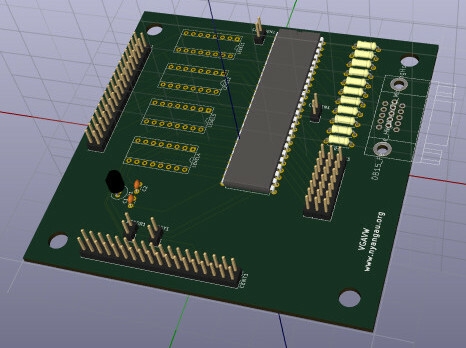 We have created a small PCB that allows a PC keyboard to run in tandem with, or in place of, the normal MTX matrix keyboard. 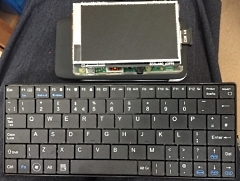 Bill has developed code for the Parallax Propeller that maps the PC keys into the MTX keyboard scanning logic. 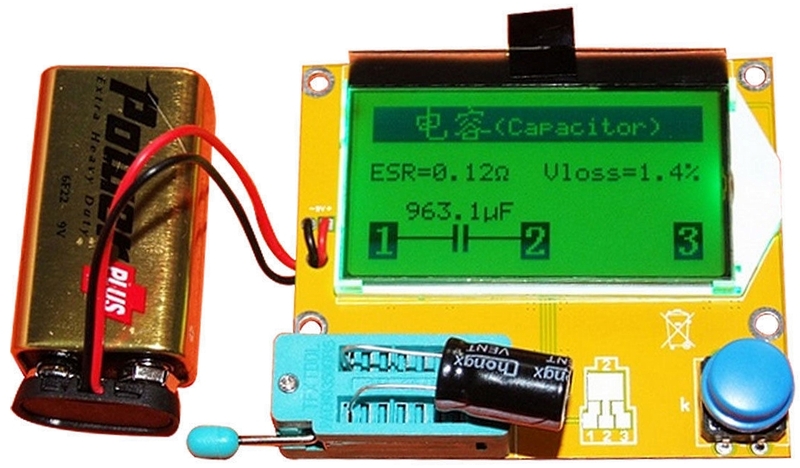 Martin also showed off his cheap (<£10) component tester that he got off eBay. 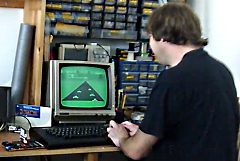 Bill brought along what is probably the smallest working MTX, shown here perched on his knee. 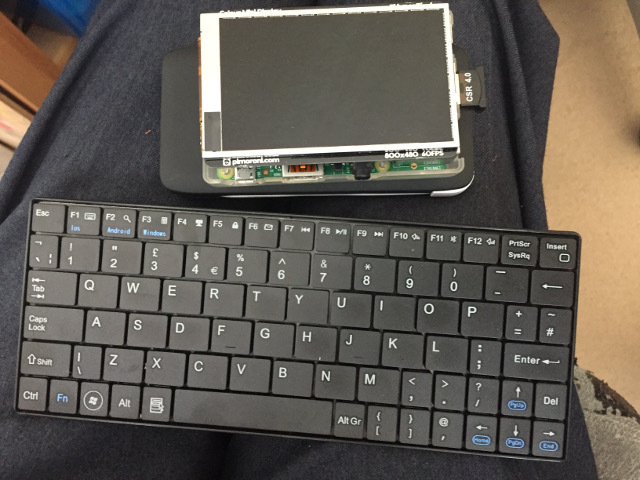 It comprises of a Raspberry PI running MEMU, a small LCD display and a small wireless keyboard. 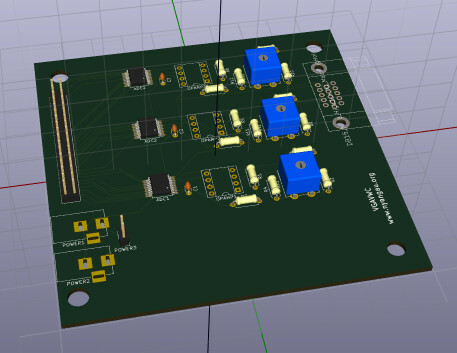 Slightly straying off the Memotech MTX theme, but definitely in line with Memotech's later Video Wall offering, Andy outlined his plans for a miniature Video Wall of his own. 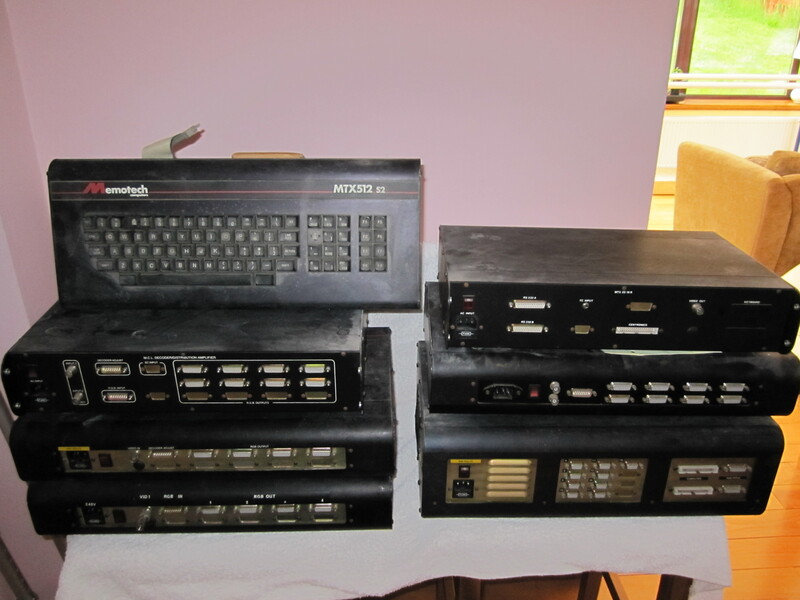 Andy wrote the original Video Wall software back in the '80s and is planning on developing a cut-down version of the Video Wall hardware to allow his vintage software to run without the need for multiple legacy monitors. Even for those of use lucky enough to have original Video Wall hardware, it is pretty impractical to have working video walls. The biggest restriction is the requirement to have 15.7kHz monitors. 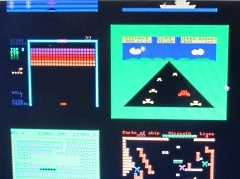 Andy's intention is that his hardware will allow the software to drive VGA monitors, with multiple portions of the video wall running on a single monitor. 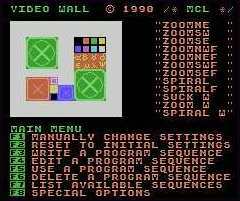 Andy has created a dedicated page for his Video Wall project. 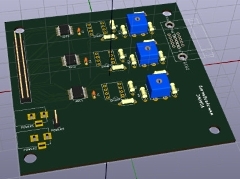 In brief, the system will be similar to the original Memotech design in that it will have a video capture board (replicating the functionality of the FramseStore / AD+ Controller module).